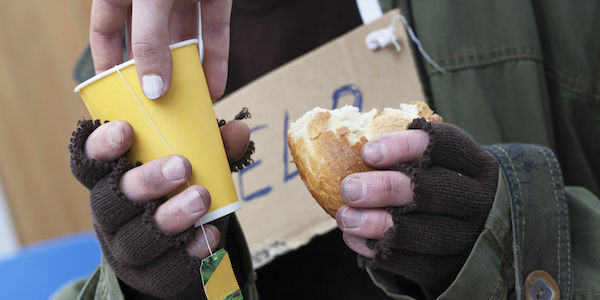 petition: Fort Lauderdale: Stop Punishing People for Feeding Those Who Are Homeless! Fort Lauderdale: Stop Punishing People for Feeding Those Who Are Homeless! Fort Lauderdale, FL has long been one of the hardest places to be homeless in America. The new tight restrictions over processes to share food with those who are hungry or homeless are just the latest in a long series of cruel anti-homeless laws trying to force the homeless population out of sight. I am ninety years old and have happily prepared food to distribute on the beach and in the park every week since 1990. Since Fort Lauderdale began enforcing its tight restrictions over my work at the beginning of November, I have been arrested and continue to receive citations ordering me to stop my work. I now face jail time or a $500 fine for each offense, simply for practicing my rights to help my neighbors. As long as there is breath in my body, I will continue to serve my brothers in the areas where they can be found. I’m not afraid of jail; I spent two and a half years in war. I am afraid of allowing a law like this to stand when each time they issue me summons they are in violation of their own state law (Religious Freedom Restoration Act of 1998 – HB-3201). I am trying to allow homeless people to have the same rights as everyone else. There is no rug big enough to sweep them under. Mayor Jack Seiler, We the undersigned demand you repeal the city’s ordinance restricting food-sharing in outdoor public spaces (C-14-42, “Outdoor Food Distribution Centers”) and urge you to avoid all future legislation of this type. We will not abide restrictions that add stress to the lives of people experiencing homelessness, under the guise of concern for their health. This law disregards our freedom and rejects basic human decency. International law recognizes that there is a fundamental right to food and we will continue to protest until your constituents are allowed the freedom to practice their religion, citizenship, and compassion. We are honored to share that Arnold Abbot's petition has gathered more than 100,000 signatures! Mr. Abbott is continuing the fight! He will visit DC to address leaders, advocacy groups, & media. He understands systemic failures that allow cities to violate our rights and he is demanding change. Will you continue to help? Partial success! A court has ruled that for a month, Ft. Lauderdale must stop enforcing the law that criminalizes feeding those who are homeless. But the fight isn't over -- we want to see the ordinance repealed. Thank you so much for signing -- please continue to share with your friends and family.